Many factors affect the longevity of a wood shake roof. These include humidity and precipitation levels, ventilation and installation. The slope of the roof and overhanging trees are also factors. Some of these are manageable by the contractor and others, by you, the homeowner. Weather and the reduced durability of second-growth cedar are beyond anyone’s control. 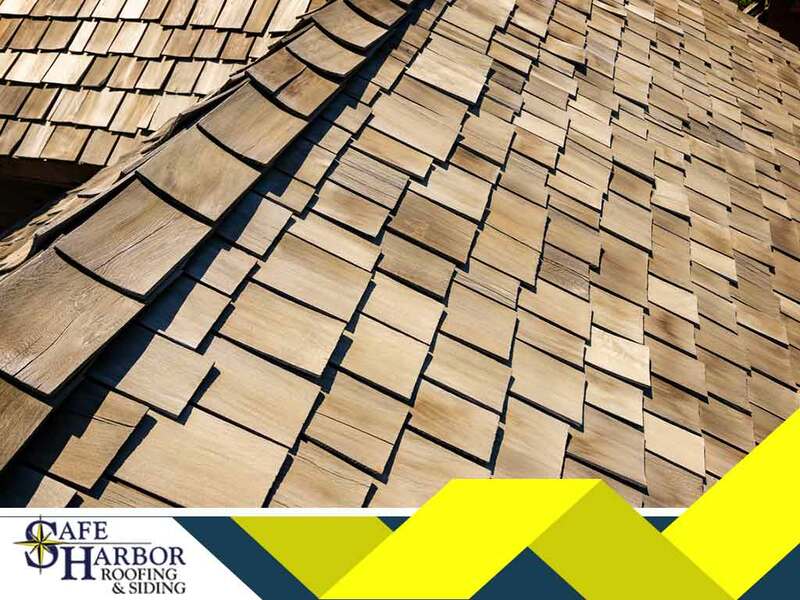 Safe Harbor Roofing & Siding offers some simple tips to prolong the life of a wood roof. Trim overhanging branches that drop pine needles or leaves on the roof. Clean debris out of gutters, off the roof and the keyways between shakes. Ensure adequate year-round ventilation of the attic or roof assembly. Install strips of zinc or copper at the ridge and midway across the roof on long slopes. Runoff from these strips reduces the growth of moss, mold,and mildew. In time, its extracts will dissolve and expose the wood to decay, cupping and splitting. Washing and treating the entire roofing system will help with maintenance. Cleaning your roof with a high-pressure washer can cause significant damage when done with untrained hands. Use a normal garden hose and a brush or pump sprayer. To remove dirt, mildew and weather residue, use a mix of sodium percarbonate and water. With redwood and cedar, tannins can leach out of the wood. Remove this brown and black discoloration with a second wash of an oxalic acid solution. Note that oxalic acid is toxic, so handle it with care. Some commercial treatments restore decay-resistance to an aging wood roof. One is Cunapsol 5, a copper-naphthenate compound. It is effective and quite benign (to plants). Dilute it with water at a ratio of 1:4, and apply with a garden sprayer. Repeat the treatment approximately every five years. For perfect roofing and siding, trust Safe Harbor Roofing & Siding. We serve homeowners in Kansas, including Kansas City and Shawnee. Call us at (913) 800-6181 for a free, no-obligation consultation with our team. Home Renovations: Should I Stay or Move Out?